The Eastern Wyoming College Golf team finished in 2ndplace in the golf tournament held in McCook, NE. Wacey Lym, sophomore, Evanston, WY had an individual finish of 3rd place. “The weather was cold and windy on Thursday and cold on Friday but less wind” said golf coach Casey Jones. Eastern Wyoming College is pleased to announce that twenty-six students were initiated into the Phi Theta Kappa Honor Society on March 1, 2013. Students initiated into the Alpha Omicron Lambda Chapter of PTK include: Tarah Werner, Torrington, WY, Nicole Donbraska, Torrington, WY, Tyler Mckiney, Torrington, WY, Sahara Owens, Torrington, WY, Belen Priest, Torrington, WY, Antoinette Bowen, Guernsey, WY, Kailee Duryea, Steamboat Springs, CO, Kaycee Cordingly, Wheatland, WY., Molly Weglin, Yoder, WY, Hannah Chapman, Torrington, WY, Shaylyn Riechert, Torrington, WY, Jessica Rammel, Torrington, WY, Cynthia Lewis, Guernsey, WY, Holly Heil, Ord, NE, Chelsea Olson, Kaycee, WY, Adele Cass, Hereford, CO, Tel Vineyard, Otter, MT, Brady Lind, Harrisburg, NE, Klinton Cahoy, Torrington, WY, Jake Etzkorn, Pierre, SD, Dakota Hiebert, Torrington, WY, Ross Breedlove, Torrington, WY, Lesley Prahl, Torrington, WY, Tia Orr, Lingle, WY, Raysha Newell, Torrington, WY, and Sabrina Whalen, Aladdin, WY. The Keynote Speaker for the event was Cheryl Raboin, Math Instructor at EWC. Eastern Wyoming College Instructor John Nesbitt has announced the release of his first western poetry book. Thorns on the Rose features thirty-two poems of western life. “I’ve been writing poetry longer than anything else. I’ve just spent more energy and time writing fiction. Some of the poems in this book have also appeared in my other works as songs and ballads,” shared Nesbitt. This book of western poems is available as an ebook at westerntrailblazer.com, Amazon, Smashwords and Barnes and Noble. It is also available in print at Amazon and Barnes and Noble. In July, Nesbitt’s twentieth traditional western novel will be available for purchase. Dark Prairie is a frontier mystery and will be the first novel released as part of a new frontier line by Five Star Publishing. This hard cover book will be available through all the regular retail outlets, including online bookstores as well as physical bookstores such as Barnes and Noble. Dark Prairie, which takes place in Wyoming in the 1890’s, is a story in which a stranger named Dunbar comes to the town of Winsome. He is on the trail of a serial killer. Shortly before his arrival, a young girl named Annie Mora disappeared. Dunbar brings the guilt to light, links it to earlier crimes, and punishes the perpetrator in mortal combat. “I am very happy to see Dark Prairie released in this new series. I have had some of my best success, including some nice awards a couple of years back, with my crossover western mysteries, and this novel continues in that style,” added Nesbitt. On May 2nd, EWC will host a Business After Hours highlighting new construction on the North Campus from 5 to 6:30 pm. During this event a book signing will be held by Nesbitt highlighting his new releases and he will also have many of his works available for sale. Nesbitt teaches English and Spanish at the College. A win at Lancer Rodeo has placed Derek Weinreis and Levi O’Keeffe squarely at the top of the Central Rocky Mountain regional team roping standings. The North Dakota team won the first round with at time of 8.1 seconds. They turned in the exact same time in the short round to win the average with a total time of 16.2 on two steers. Fellow teammates Allie Grant, freshman, Wheatland, WY and partner Trevor Blomenkamp, freshman, Broadwater, NE, finished fifth in the first round of the team roping. In the steer wrestling, Troy Wilcox, sophomore, Red Owl, SD, was fifth in the first round with a time of 7.0 seconds. Dustin Dailey, freshman, Long Pine, NE, qualified for the short round as well. Josh Davison, freshman, Miles City, MT, qualified for the short round in the saddle bronc riding. In the barrel race, Michaella Lay, freshman, Torrington, won second in the first round, second in the second round and second in the average. Kailee Koltiska, freshman, Glenrock, WY, finished fourth in the first round and ended the weekend in fifth place in the average. The EWC men’s team is still on top of the team standings for the region with 3433 points. They are followed by the University of Wyoming in second place with 3230 points. The team will next travel and compete in the annual Casper College rodeo on April 19th-21st. For the first time ever, we’ve recorded parts of the final day of the EWC rodeo for you to enjoy at home. There’s no high speed internet at the Fairgrounds or else, we’d have streamed it live. 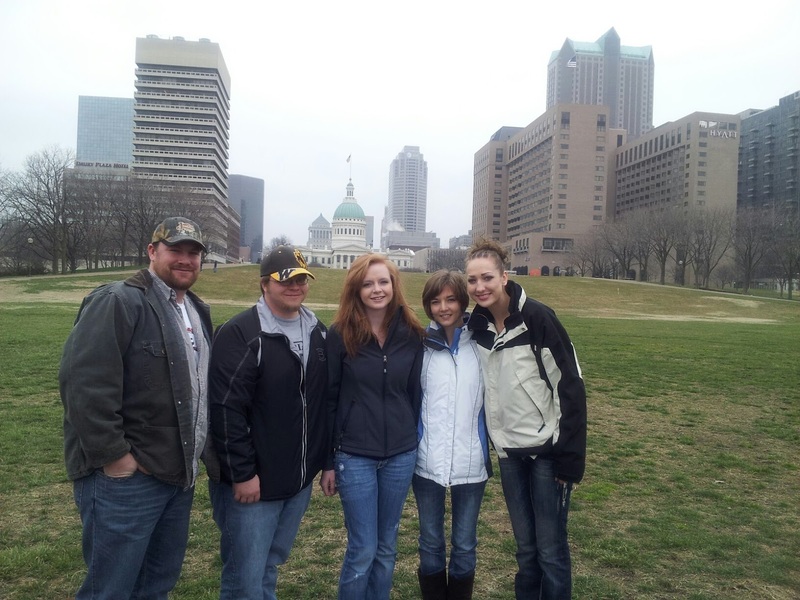 The Eastern Wyoming College speech & debate team traveled to Webster University March 13-16, 2013, for the season ending Pi Kappa Delta National Tournament in St. Louis. Competitors from 89 colleges and universities from every region of the country competed in speech & debate events at the tournament. With over 100 teams competing in the parliamentary debate competition over three divisions, the EWC squad finished the preliminary rounds with all of their wins coming against four-year universities including Chapman University, College of Idaho and Murray State. The team is coached by John Hansen and Ron Bronson. The team’s finish at nationals placed the Eastern Wyoming’s debate team among the top 25 community colleges in the National Parliamentary Debate Association national standings and 106th in the nation. Most schools travel four or more teams to tournaments, earning points for each. “The fact that EWC managed to move up over eighty spots in the standings from last year with less than a full roster, just makes what our students and coaches have done all the more impressive,” said Bronson. Participating for EWC were Hannah Chapman, Chelsea Clement, Jessica Rammell, Shaylyn Reichert, Tim Van Litsenborgh and Tom Webster. “For a second year program to make such a dramatic leap in the standings is really a testament to the commitment of our students to improve over the past season,” said Coach John Hansen. EWC’s finish in the national rankings, places them ahead of Central Wyoming College, University of Kentucky, CU-Colorado Springs, South Dakota School of Mines, Oral Roberts and the University of Oklahoma, among others. For more information about EWC debate, including scholarship opportunities for high school students who competed in speech & debate, contact John Hansen at 307-532-8367. 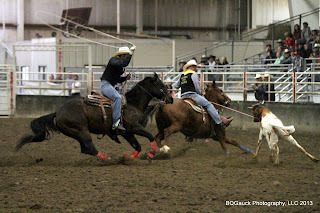 The Eastern Wyoming College men’s rodeo team is on a roll. After another solid performance from the team this past weekend in Fort Collins at the CSU rodeo, they now lead the Central Rocky Mountain Regional standings with 3053 points. The University of Wyoming is in second place with 2770 points followed by Gillette College with 2720. Individually, Lancer team ropers Derek Weinreis, sophomore, Beach, ND and partner Levi O’Keeffe, sophomore, Mohall, ND won their event with a total time of 16.1 seconds on two runs. In the tie-down roping, Troy Wilcox, sophomore, Red Owl, SD, finished the weekend in second place in the average. Sophomore Tyler Wortman, Highmore, SD, had a great weekend in the steer wrestling and finished in third place. Mardee Sierks, sophomore, Brewster, NE, was fifth in the long go of the goat tying. In the short round, she tied her goat in 7.0 seconds which placed her fourth in the average. The EWC rodeo team will host the annual Lancer Rodeo on April 5th, 6th and 7th at the Goshen County Pavilion. Eastern Wyoming College women’s basketball coach Tom Andersen has been named Coach-of-the-Year for the Region IX South Sub-Region. The Lady Lancers finished their season with a record of 21-10 which is an all time high record for the College. Andersen is in his sixth year of coaching the Lady Lancers. Andersen was selected coach-of-the-year by his peers in the South Sub-Region of Region IX. Other colleges joining EWC in this South Sub-Region are Western Nebraska Community College, McCook Community College, Northeastern Junior College, Lamar Community College, Otero Junior College and Trinidad State Junior College. Two women’s players were recognized as part of the All-Regional Team. Brittney Cross, a freshman from Orlando, FL and Jai Chandler, freshman also from Orlando. Players are selected for regional awards by the coaches based on their play during the season. “This is great recognition for both of these players. It is a direct reflection of the team’s success and honor’s the rest of the team as well,” added Andersen. Lancer sophomore Ryan Wilson from Layton, UT earned recognition on the third-team all regional team.